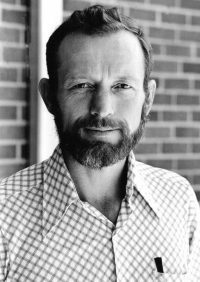 VATICAN CITY (CNS) — Pope Francis has recognized the martyrdom of Father Stanley Rother of the Archdiocese of Oklahoma City, making him the first martyr born in the United States. The Vatican made the announcement Dec. 2. The recognition of his martyrdom clears the way for his beatification. Father Rother, born March 27, 1935, on his family’s farm near Okarche, Oklahoma, was brutally murdered July 28, 1981, in a Guatemalan village where he ministered to the poor. Many priests and religious in Guatemala became targets during the country’s 1960-1996 civil war as government forces cracked down on leftist rebels supported by the rural poor. The bodies of some of Father Rother’s deacons and parishioners were left in front of his church and soon he received numerous death threats over his opposition to the presence of the Guatemalan military in the area. Though he returned to Oklahoma for a brief period, he returned to the Guatemalan village to remain with the people he had grown to love during the more than dozen years he lived there. He was gunned down at the age 46 in the rectory of his church in Santiago Atitlan. Government officials there put the blame on the Catholic Church for the unrest in the country that they said led to his death. On the day he died, troops also killed 13 townspeople and wounded 24 others in Santiago Atitlan, an isolated village 50 miles west of Guatemala City. Many priests and religious lost their lives and thousands of civilians were kidnapped and killed during the years of state-sponsored oppression in the country. While his body was returned to Oklahoma, his family gave permission for his heart and some of his blood to be enshrined in the church of the people he loved and served. A memorial plaque marks the place. Father Rother was considered a martyr by the church in Guatemala and his name was included on a list of 78 martyrs for the faith killed during Guatemala’s 36-year-long civil war. The list of names to be considered for canonization was submitted by Guatemala’s bishops to St. John Paul II during a pastoral visit to Guatemala in 1996. Because Father Rother was killed in Guatemala, his cause should have been undertaken there. But the local church lacked the resources for such an effort. The Guatemalan bishops’ conference agreed to a transfer of jurisdiction to the Oklahoma City Archdiocese. News of the recognition was welcomed in Oklahoma. “This comes as a great joy to all of us here not only in Oklahoma, but I think it’s a great blessing to the church in the United States,” Archbishop Paul S. Coakley of Oklahoma City told Catholic News Service Dec. 2. He also called the recognition of the priest’s martyrdom a gift to the Catholic Church in Guatemala. Archbishop Coakley recalled how both he and Father Rother are alumni of Mount St. Mary Seminary in Emmitsburg, Maryland. He remembered a ceremony at the school a few months after the priest’s death in which a plaque was erected in his honor. Now-retired Archbishop Beltran was head of the archdiocese when the sainthood cause for Father Rother was officially opened in 2007.